We’ve had a great season this year, and our ocean charters the month of September were great, whenever the ocean conditions allow. 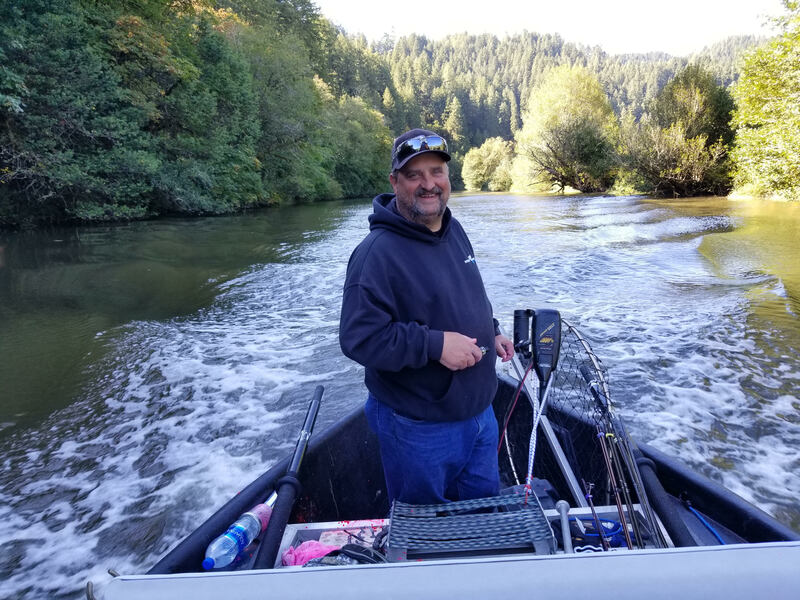 A lot of Coos Bay Fishing Charters will call it a season after September, but Pacific Charter Services will continue to book trips thru October. We have half the month of October already booked, but there is still room if you want to go. Please call to book or go to our website and book your trip online. We are one of the top ranked Coos Bay Fishing Charters and hope you will give us a try. We have reduced our trips to one per day in October, with a focus on Deep Water Lingcod & Rockfish, and our Guided Chinook Salmon river trip. Crabbing trip will continue thru October. We will continue thru October as ocean conditions allow. 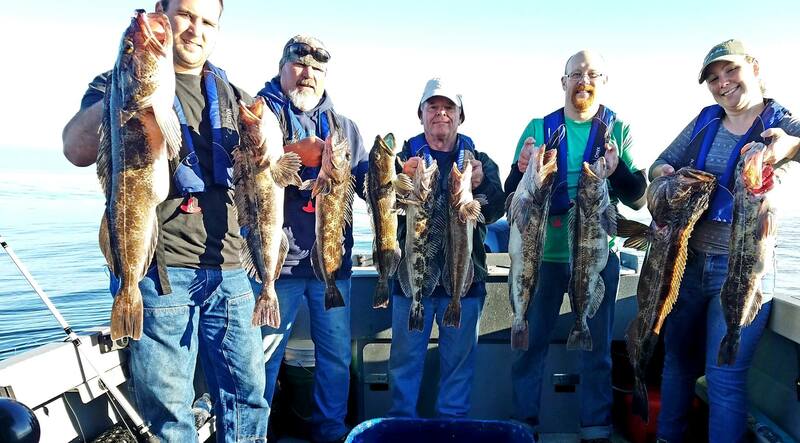 Large lingcod and rockfish are plentiful, and customers continue to have a great experience and adventure on every trip. We had to cancel several trips in September due to high winds which produced large wind waves on top of swells which can make ocean conditions to rough for fishing. We always keep a close eye on ocean conditions and will cancel trips if deemed unsafe or to rough for customers. You never have to worry about us taking you out on the ocean if conditions are bad. Captain Curt is a Master 100-ton captain with over 40-years of experience fishing out of Charleston, Oregon. We use multiple data sources to determine what conditions will be on the day of your trip, and we error on the side of caution. We always refund customers if we cancel due to weather. There are a couple of options for those seeking to catch large Chinook Salmon. To be frank, the Coos River has been slow this year but still producing some nice size chinook salmon. We caught a couple of nice 23lb and 24lb Chinook last week. We want to be honest with our customers and not overstate the quality of salmon fishing in the Coos, and suggest fishing the local rivers as a better option. 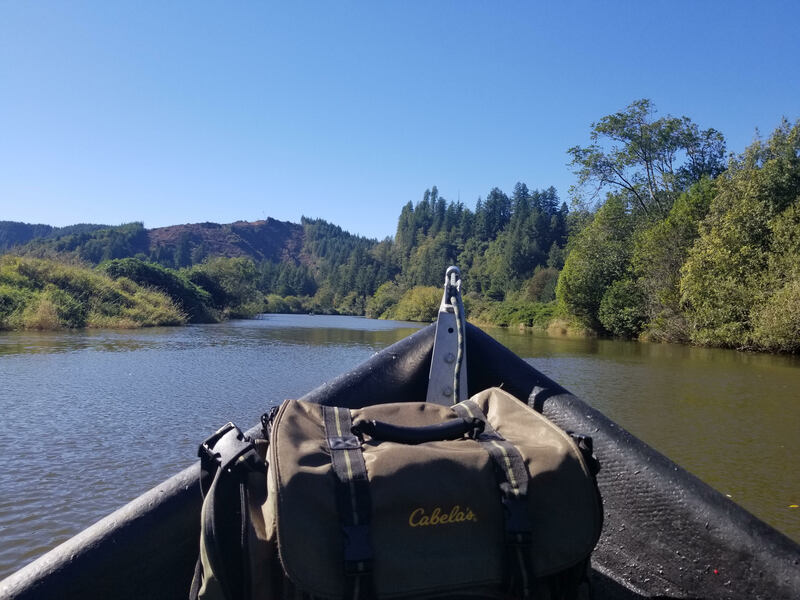 Coos Bay Salmon fishing in some of the nearby rivers is fantastic if you know where to go and the proper techniques. Our Chinook Salmon Guided River Trip is really the trip to be on for salmon this year. During my last trip with Captain Curt a week ago we hooked 16 salmon and landed 10 in the boat. Because we can keep 5 jack salmon each (salmon under 24”) and two Chinook, it can make for an excellent day of fishing. Every trip this year has produced a great catch. Not sure there is a better Chinook salmon trip anywhere including Alaska. No kidding, this is a rock star trip! 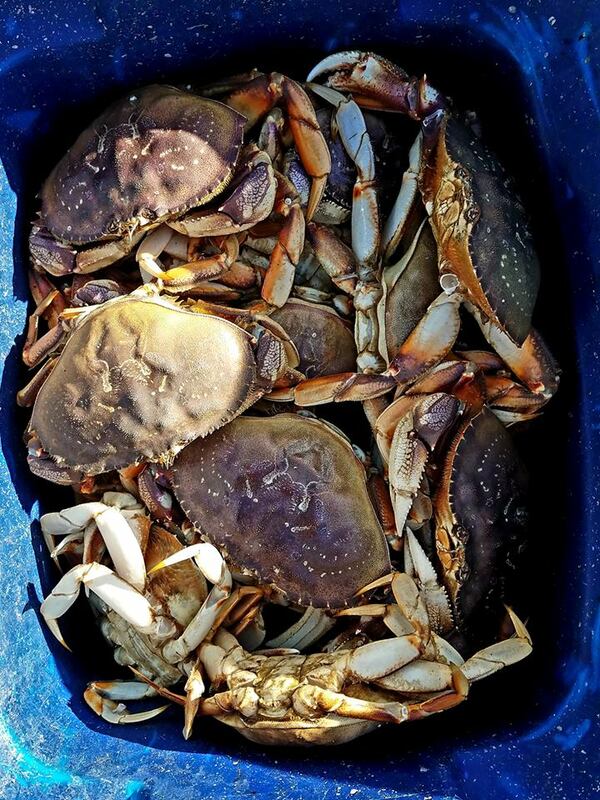 Crabbing in Charleston Oregon has been good with a plentiful amount of large crab being caught. Lots of meaty and tasty crab with October being a great month. We will be running two trips per day in October due to the demand of this trip. The trip is two hours long and it provides enough time to get your catch of tasty Dungeness crab, and take in the amazing scenery.